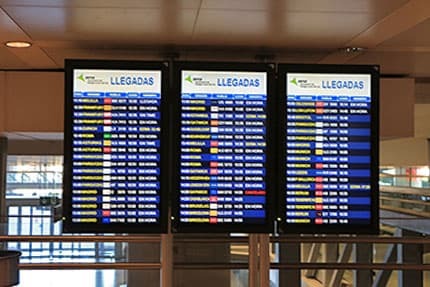 From the following board you can check anytime all flights arriving at Malaga Airport throughout the day; this panel also shows extra information on incoming flights. 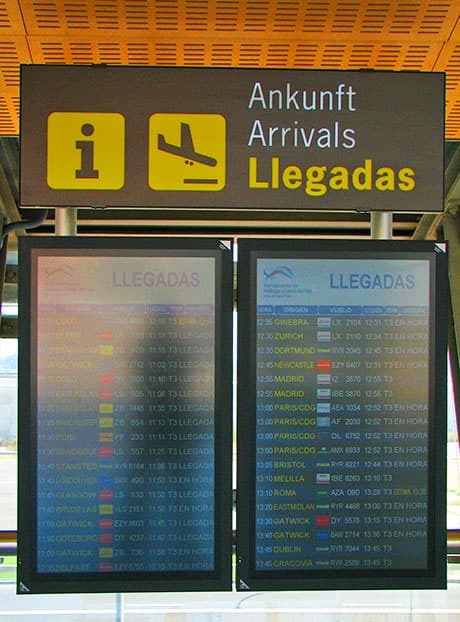 You reach Arrivals of Malaga Airport via Terminal 3, although you can also enter Terminal 2 and access the T3 from there since both are connected. Terminal 1 on the contrary is inaccessible since the opening of the T3. After passing through passport control and going downstairs you get to the area of baggage claim. Inside Terminal 3 there are 11 luggage belts, nine dedicated to flights of the European Union and two for flights outside the European Union, plus another one dedicated to special luggage. On the other hand, Terminal 2 has up to 10 baggage belts. In the public area there are many shops where you can buy magazines and newspapers in different languages, maps, sweets and gift items to take home as a souvenir of the Costa del Sol. If you are expecting the arrival of a family member or friend there are cafes in the T2 and T3 such as Caffe Ritazza, Cafeteria VIPs or Starbucks Coffee. If you have a car rental reservation you should go to Terminal 2 or 3 where are situated the 9 companies with counter at the airport; other companies are located outside the airport in the Avenue Comandante Garcia Morato although we understand that in this case you will most probably have a courtesy minibus waiting outside the T3. 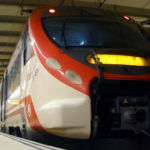 If you have reserved a private transfer, the driver will be waiting in the main arrivals area of the airport or just outside. 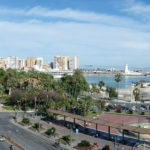 Also outside the complex there is a bus stop with different destinations and the suburban train station which links the airport with municipalities like Fuengirola, Benalmadena, Torremolinos and Malaga city.